All Lakeland homes currently listed for sale in Lakeland as of 04/21/2019 are shown below. You can change the search criteria at any time by pressing the 'Change Search' button below. If you have any questions or you would like more information about any Lakeland homes for sale or other Lakeland real estate, please contact us and one of our knowledgeable Lakeland REALTORS® would be pleased to assist you. 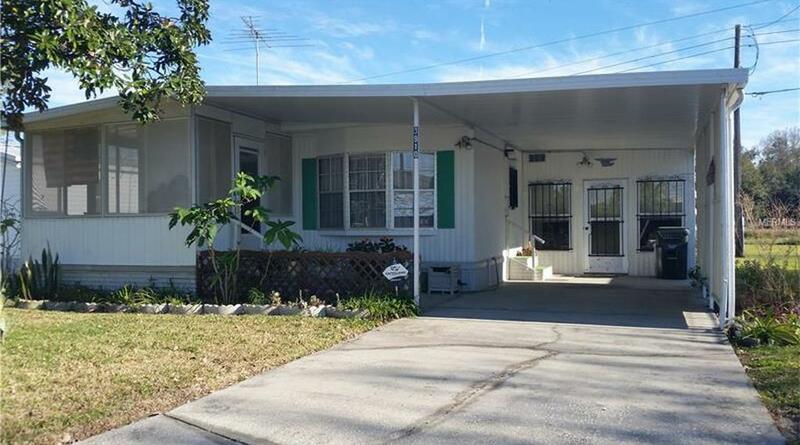 "Welcome home to this 3 bedroom, 2 bathroom doublewide home with 816 sq ft heated and cooled. Sliding doors connect the home to an additional front porch with plexiglass windows. At the back of the attached carport is an additional Florida Room plus the Laundry Room with utility sink. In the back yard a Utility Shed provides a great space for tools and storage. The home offers a large kitchen with closet pantry, dining room with a bay window and built in china cabinet, as well as a spacious living room area. The master suite boasts a walk in closet and private bath with shower. Another walk in closet provides excellent storage in the guest bedroom. And the guest bath offers a tub/shower combination. A/C new March 2015. Refrigerator 1 year old. Close to shopping, restaurants, and hospital!"